Your driveway, patio, and walkways are liable to crack if they’re made out of concrete. If you note cracking, you have two options: Replace the concrete, or reconfigure its support. Sometimes concrete can crack as your home adjusts, and sometimes it can crack as earth erodes from underneath the concrete structure. You may be able to hire a construction outfit to reinforce your concrete, or you may have to demolish and start from scratch. If you have a wooden deck and/or fence, you’ll have to perform maintenance every couple of years. 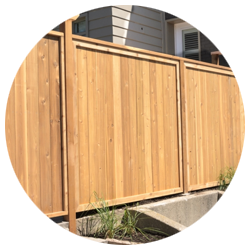 Plan on staining your deck/fence regularly to ensure that the wood is protected from the elements. As your deck/fence structure endures snow, sleet, rain, and hail, it’ll dry out and warp. By applying finish regularly, you can have your deck and/or fence last years longer. If your wood is in truly tough shape, you may have to sand it down and then apply a finish. Otherwise, you’ll have to scrap your fence or deck and rebuild from scratch – and that can be a costly feat. Your driveway, patio, walkways, deck, and fencing can take a beating out there in the open, but they make the interior of your home all the more comfortable and enjoyable. 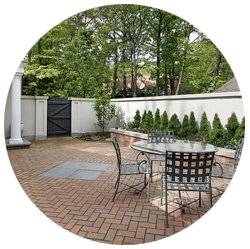 With proper maintenance, driveway, patio, walkways, deck, and fencing can last years, if not decades, to come. So when it’s time to sell your home, you can get every penny that you deserve. When you do decide to sell your home, you can always count on the realtor services of Colorado Real Estate Co. We proudly represent home sellers throughout Denver, Lakewood, and Littleton! Get started with us here!